Every year an increasing number of people enjoy winter sports holidays, so it’s inevitable that we see more patients with related injuries seeking professional medical help. A French market research company found there are 1.5 million Brits geared up for at least one winter sports holiday every year, with a further 2 million skiing or snowboarding on a less frequent basis. What do you need to know before you hit the slopes, and what can you do to prevent injury to yourself? Read on for our guide to keeping your feet, ankles and legs in good shape this winter. What Injuries Can Winter Sports Cause? 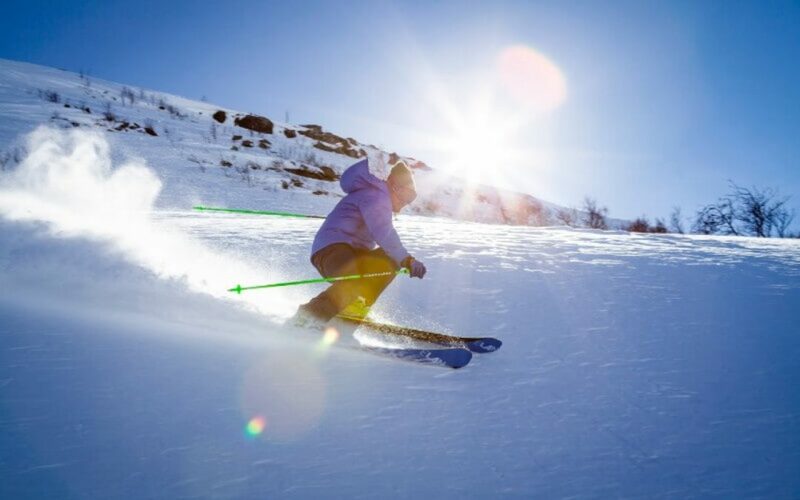 Due to the motion and speed related to winter sports, such as skiing and snowboarding, injuries can be quite serious and often affect the lower extremities. The Western Journal of Medicine conducted a four-year study into the injuries most commonly sustained through skiing and snowboarding, and found that 16% of snowboarders suffered with ankle injuries, in contrast to 6% of skiers, whereas 39% of skiers sustained knee injuries, compared to 17% of snowboarders. Why Can Winter Sports Be Dangerous? High speeds from sliding down the slopes mean you have only a short amount of time to adjust if something goes wrong, so your reflexes have to be quick to avoid hazards or prepare for a fall. Usually if you lose your balance or fall, you have a certain amount of control over how you land. However, when skiing or snowboarding your boots are fixed to the ski or board, and you may not have time to prepare for a fall and release your boot from its binding. Falling while clipped in to the ski or board can impact the way you fall, causing your body to twist in an unusual way, thus increasing the chances of injury or strain. How Can You Prepare for a Winter Sports Holiday? Injuries are most common in beginners, so it’s worth paying attention to your safety guidelines if it’s your first time. To make sure you enjoy your winter sports holiday safely, here are our top tips for keeping your legs, ankles and feet in good health. Wear breathable socks: choose cotton or woollen ski socks that are specially designed to wick away sweat from your skin and keep your feet warm and dry. Do some strengthening exercises: building up your strength will improve your performance and stamina on the slopes. Skiing and snowboarding are full body sports, so try squats to build up your thigh muscles and plank to improve your core strength. To prepare your ankles, try doing step ups, or, while seated, lift one foot at a time and write out an imaginary alphabet with your toes. Work on your balance: losing your balance is how most injuries occur so, with something stable close by to hold if necessary, practise standing on one foot for 30 seconds, then the other. Once this becomes easy, do it with your eyes closed. At Feet By Pody, we have a team of specialists ready to help you avoid or, should the worst happen, overcome a sports injury. To find out more about reducing the probability of a winter sports injury, contact our friendly team today.